Philadelphia Police shot a suspect Wednesday night who apparently stabbed two children in West Philadelphia. The incident happened at a home around 7 pm on the 6200 block of Hazel Avenue. The suspect stabbed the children in the house, and then fled the home. 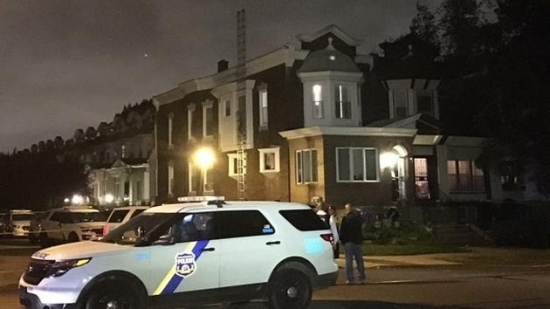 Police found the suspect near Cobbs Creek Parkway and Webster Street, and opened fire on him wounding him multiple times, he was then rushed to Penn Presbyterian Medical Center. Both children were sent to The Children's Hospital of Philadelphia. A blind man was struck by a SEPTA train after he fell onto the tracks in Center City. It happened on Wednesday at 4:30 pm on SEPTA's Broad Street line at Broad and Vine Streets. The 53-year-old man had tripped, hit a pole and fell onto the tracks, where he was then struck by the incoming train. He was pronounced dead at the scene. SEPTA had to stop service while Police investigated, but was resumed after about an hour. Ryan Howard will most likely be completing his 13th and final season with the Phillies this weekend. The 36-year-old player could be playing his final games as a Phillie this weekend as the Phillies take on the Mets at home in their last three games of the season. Many people are expecting the Phillies to pay Howard a $10 million buyout before the start of the 2017 season. Howard would round out his career as a Phillie with many accomplishments including being a three-time all-star, two-time home run champ, 2005 NL Rookie of the Year, 2006 National League MVP, as well as playing a key role in helping the Phillies win the World Series in 2008. Tonight, the Phillies play in Atlanta at 7:10. Today, Cloudy and Rainy with a high of 67 degrees in Center City.